While browsing the web on your smartphone, have you ever felt the need to open up an app associated with the website you're on, and look for something in that app? For example, if I am on an eBook reading website, I might need to add a book ID given on the website in the reader app, or I might need to see a list of places on a map-reading app. Switching context from webpages over to applications can be annoying, and might not always give you what you wanted. 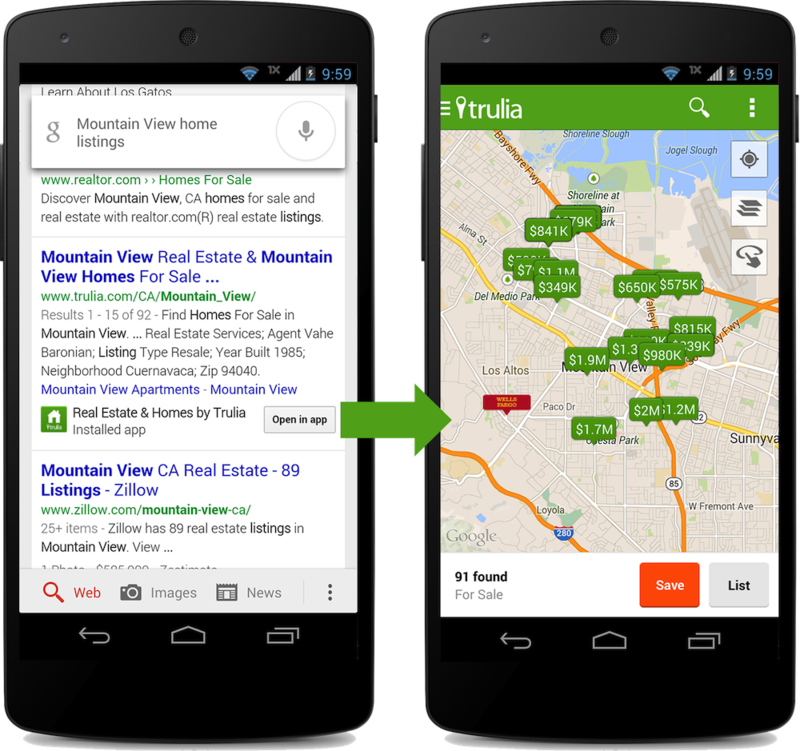 To help address this issue, Google has announced a big addition to Google Search - App Indexing, which will help searchers look for information within mobile apps just like they would on websites! The app indexing feature uses the expertise of webmasters to help create a seamless user experience across websites and mobile apps. 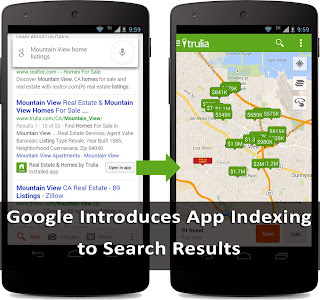 App Indexing is not dissimilar to website indexing, not on the conceptual level at least. Googlebot can now crawl and index apps just like it can index websites. Of course, app indexing doesn't work out-of-the-box for every app. Google is currently testing this feature with an initial group of app developers. This pool of developers is being increased, and with time, it'll cover almost the entire Android app market. So if you are an app developer, and have an app for your website, then you can let Google know that you're interested.